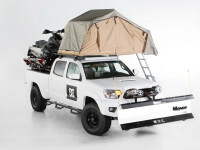 Remember that DC Shoes Toyota Tacoma we featured at the 2013 SEMA show? The owners had some fun recently and put it into action. Check out the video. Who says the best way to build an offroad truck is to buy an older Tacoma and modify it? What about modifying a brand new truck? That is exactly what this truck owner did and he DID IT WELL. Check it out for yourself. The cool part with trucks is that you can modify them to meet your needs. Sometimes though, you can REALLY modify them. Take this black Toyota Tacoma. It has a serious collection of aftermarket parts. 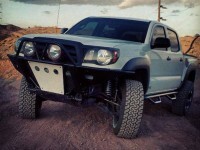 The people over at MiniTruckin’ have featured a really cool 2002 Toyota Tacoma. 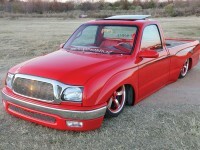 This lowered, regular cab is not for everyone, yet you can’t argue over how well done it is. Check this out. 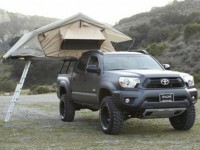 Buying a Toyota Tacoma in the U.S. is a pretty straightforward process. Getting one in Japan? Not so much. 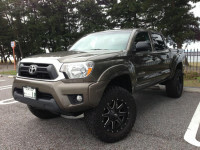 Add in the fact it is customized and this Tacoma is really sweet! Let’s be honest, most 1999 Toyota Tacoma pickups look like they have been around for a while. Most, but not this one! This low-riding airbrushed Tacoma is really sweet! 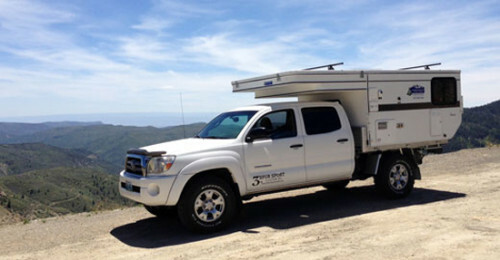 Quite often when you are discussing camping and trucks, it is advised to go with a full-size HD truck with diesel fuel. What about a more compact offering? Check out this flatbed camper.